Quero agradecer imensamente a oportunidade cedida pelo Rfactorcentral ao liberar aqui minhas criações de pistas. Esta é uma pista fantasia, com elementos urbanos e elementos de subúrbios, bem ela acompanha um Arquivo SCN extra que é para tentar recriar outro ambiente, para funcionar apenas substitua o que já existe na pasta principal, não esquecendo de fazer um backup do original que lá se encontra. Aproveitei o tempo livre e mais sobras das ultimas 3 pistas minhas e resolvi criar essa pista. Ela é ideal para carros de Turismo e GTs, não tendo tão boa aceitação para carros de F1 ou mono postos quando jogado off-line. Quero informar que como forma de reconhecimento e admiração ao trabalho bem feito e vejam isso como uma homenagem aos criadores de pistas introduzi 3 elementos de outras pistas tendo enviado pedido de solicitação aos mesmos. Entre eles estão: Fumaça e carro com Ferraris da VirtualLM, Roda gigante da Daytona Road by Alex Ulleri, Vejam isso como forma de admiração por vosso trabalho. Obrigado. João Gilberto- Por modelos dos pilotos no Paddock da pista. As ligas de automobilismo Virtual Brasileiras que sempre buscam desenvolver bons campeonatos e aos seus pilotos. Aos amigos que sempre baixam votam e curtem nosso trabalho meu muito obrigado. I want to thank everyone for the opportunity courtesy Rfactorcentral releasing my creations here for download. This is a track fantasy with urban elements and elements suburbs and it accompanies a File SCN extra is to try to recreate another environment , to work only replace what already exists in the main folder , do not forget to make a backup of the original there is . I took advantage of the free time and more leftovers from my last 3 tracks and decided to create this track. It is ideal for touring cars and GTs, not having as good acceptance for F1 cars or mono stations when played offline. I want to inform you that in recognition and admiration for a job well done and see it as a tribute to the creators of 3 lanes introduce elements of other tracks and sent the same request to request . Among them are : Smoke and car with the Ferraris VirtualLM Wheel Giant Daytona Road by Alex Ulleri , Look at this as a form of admiration for your work . Thank you. João Gilberto - On models for pilots Paddock Lane . 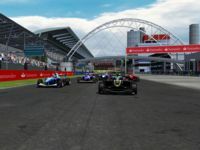 Virtual motorsport alloys Brazilian who always seek to develop good championships and their drivers . Friends that always fall vote and dig our work thank you very much . 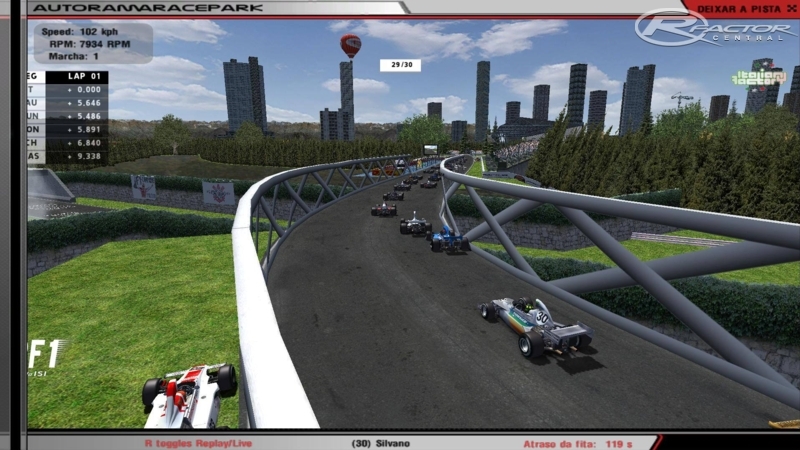 There are currently no setups for AutoramRacePark. Add a Setup. Valeu pelos agradecimentos, Silvano... mas o mérito é todo seu. Desculpe não poder ajudar mais. Thanks for the kind words, but it is completely your merit. Sorry for not helping as much as I would like to. Nicely done and very fun to drive, I especially like the way the track crosses over itself. High-powered cars can't really get to their top speed on the back straight, though, maybe it could be made a bit longer? Another thing I would like to suggest is turning the last corner before the start-finish straight into a banked turn as this would also make the track more interesting to drive with fast cars.